HomeLight, a company focused on helping consumers find great real estate agents, recently released their Best of HomeLight 2018 Award winners. HomeLight ran the numbers on real estate agents across the country and we’re excited to report that our HREG Team Leader Renee Hillman was recently named among Top Producer, Top Buyers Agent, and Top Listing Agent nationally — and in the top 0.4% of agents here in the area! Best of HomeLight winners represent some of the most talented and customer-focused real estate agents working today. Based on the same real estate traction data used by HomeLight each day to match home buyers and sellers with America’s top agents, the Best of HomeLight Awards are a way for the brand to publicly recognize excellence in the real estate industry. Agents qualify by outperforming their peers at either the national or local levels. You can see the complete list of 2018 winners at the link below. 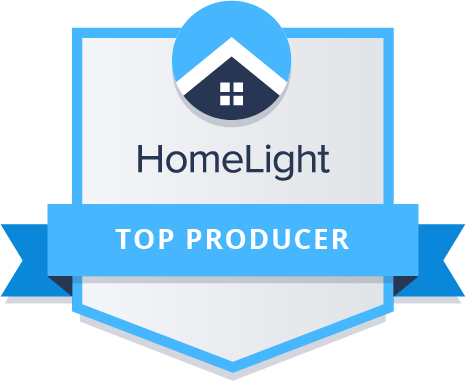 HomeLight analyzes millions of home sales to find the best performing real estate agents in a specific area. If you are looking for an agent, you can fill out a few short questions about your goals and preferences and HomeLight will start filtering over two million agents to find the one who best fits your needs. They then compile data on real estate transactions across the country. If you are looking for top agents in your area, they dig into their database of over 29 million transactions, two million agents, and over 200,000 brokerages to find top performers who specialize in your needs. From there, you can review your top agent matches. The results are 100% free, data-driven, and unbiased. Lastly, you can meet with your matches, decide who to work with, and then close the deal on your house! Are you ready to work with one of the top 1% of agents in the Triangle area? Contact Renée via email at Renee@Renee-Sells.com or by phone at 919-868-4383.